The 2019 Event will be our 10th and biggest event to date!!!! Saturday July 6th, 2019 Join us for our 5K/10K for 10 Years Event! Click Here To Become a Sponsor/Vendor Today!! The Mary E. Smith (M.O.M) Foundation, Inc./Memories of Mary is a nonprofit 501(c)(3) charity dedicated to the memory of Mary Elizabeth Smith. Since our incorporation in 2008, the organization has been committed to winning the fight against brain tumors. The foundation is active in the community and has assisted patients by donating over $80,000 to the cause. Our 2019 goals are set to benefit even more aspiring students and researchers within the brain tumor community. Our goal is to raise over $15,000 towards the cause. In keeping with charity navigator standards, 75% of our funds will be utilized towards our mission. MESF is dedicated to our FIND-A-CURE, AIM HIGH and SAVE-A-LIFE initiatives. These programs fund research, provide scholarships and give financial support to brain tumor patients and their families. Our community fundraising events are dedicated to spreading awareness about this devastating condition. Your Partnership is instrumental to our success in these endeavors. We welcome any in-kind sponsorship or donation to our charity and events as they support our 2019 scholarship and grant programs. We sincerely hope that you will donate your time, services or funds to MESF this year. Your financial donations are tax deductible under U.S. federal tax provisions (EIN: 26 2297602). This foundation depends on partners, vendors, generous supporters and/or donors like you to continue our commitment to winning the fight against brain tumors. 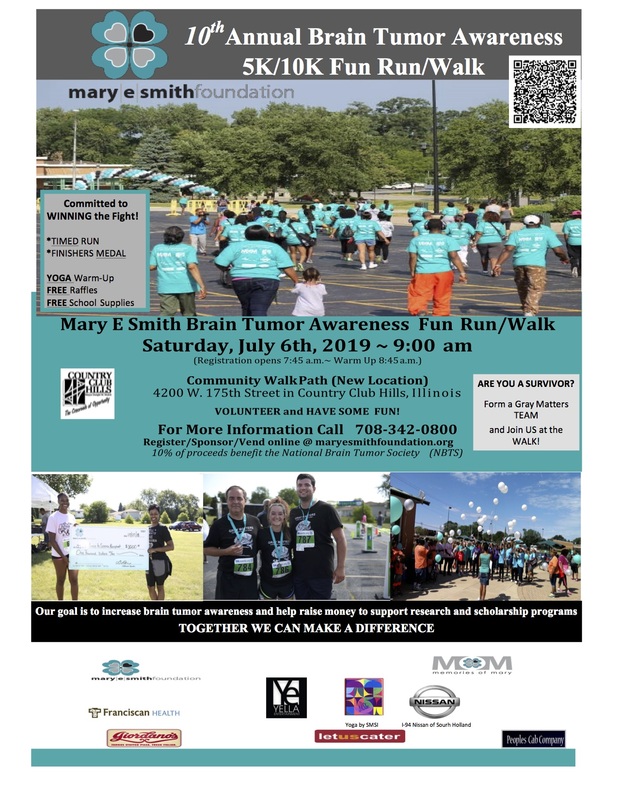 Please call 708-342-0800 or email information@maryesmithfoundation.org if you have any questions. Remember, together we will make a difference. 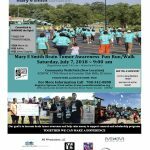 Sincerely, Mary E. Smith Foundation, Inc.